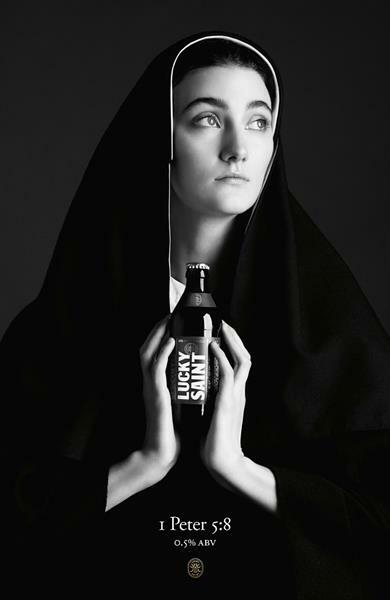 After recently being appointed without a pitch, Karmarama has created an out of home campaign to launch new non-alcoholic lager brand, Lucky Saint. Lucky Saint was created by investor Luke Boase and is brewed in Bavaria. The campaign features photography by Rankin, while one of the two executions has a reference to Bible verse 1 Peter 5:8, which reads: "Be Sober, be vigilant; because your adversary the devil, as a roaring lion, walketh about, seeking whom he may devour:"